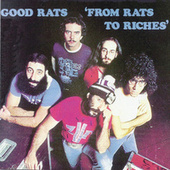 Long Island Music Hall Of Famers The Good Rats are the sort of band that could only have happened in the '70s: blue-collar boogie dudes with Zappa-prog chops, beer bellies, hockey jerseys and beards worthy of third-world dictators; stars in select mid-Atlantic enclaves who never sold enough elsewhere to place any of their several albums (including six between 1969 and 1979) on the Billboard charts; artists addicted to career-sabotaging, half-joking lyrics about stale Entenmann's and malfunctioning radiators and how the union keeps making things worse at work. 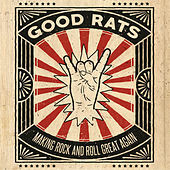 They frequently shared venues with bands like Max Creek, Zebra and, most notably, pre-stardom-era Twisted Sister, whom they made fun of in "Don't Hate The Ones Who Bring You Rock & Roll," on their uproarious 1978 From Rats To Riches. 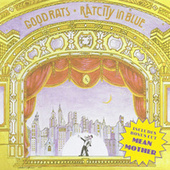 Another metalloid rocker on that record, "Taking It To Detroit," failed to even break them in the Motor City. 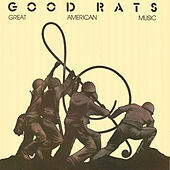 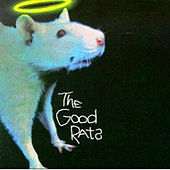 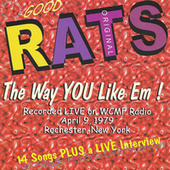 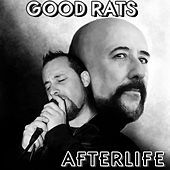 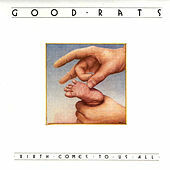 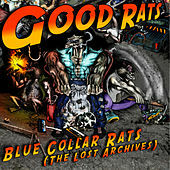 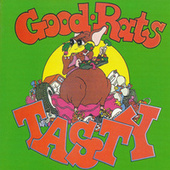 Good Rats did get scattered college-radio play, though -- mainly for 1974's "Back To My Music." 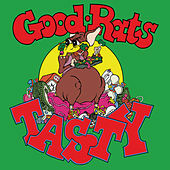 And they kept plugging away, in some form or other, through the '80s and '90s and even into the next millennium.